: January 1956 on The Tommy and Jimmy Dorsey Stage Show. : His incredible singing voice and the way hr moved around when he sang. It was really unique. "My Message to Elvis": You will always be the King. Before you thre really was nothing. : King Creole.It showed how great an actor Elvis was and included some of his best songs. : I was at work at the Ponderosa Steakhouse. : His versatile music style.His interpretation of all music is great. Gospel,R&B;, Country,Blues,Love Songs. 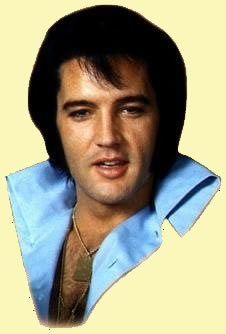 : I have been an Elvis fan from the very first time he was on tv.I am retired at 62 years old. Thank you Ronald for taking part in our survey with your wonderful comments. Elvis` talent is untouchable; his style stands the test of time. Elvis Presley isn`t only the King of rock n roll. He was a man with values; his personality was naturally gentle, generous and caring. Once touched by Elvis, whether it be through his music, looks or lifestyle. He has left a permanent mark on your heart which will be there forever, as will his legend. Description of site contents: This site contains Elvis Presley biography information, history on Elvis Presley life story, Elvis Presley pictures and photos, Elvis Presley song lyrics, Elvis Presley movie resources, free e-books and articles listed for your convenient search in subjects of: Elvis Presley pictures and photos, Elvis Presley song lyrics, Elvis Presley movie resources, Elvis Presley childhood, Elvis Presley Band members biography, Elvis Presley girlfriends, Elvis Presley biography spiritual medium stories, Elvis Presley Memphis mafia stories, Elvis Presley diary quotes, Elvis Presley movie and music details in relation to the Elvis Presley autobiography and interviews of friends and family members for the Elvis Presley biography website written by a fan for his fans.